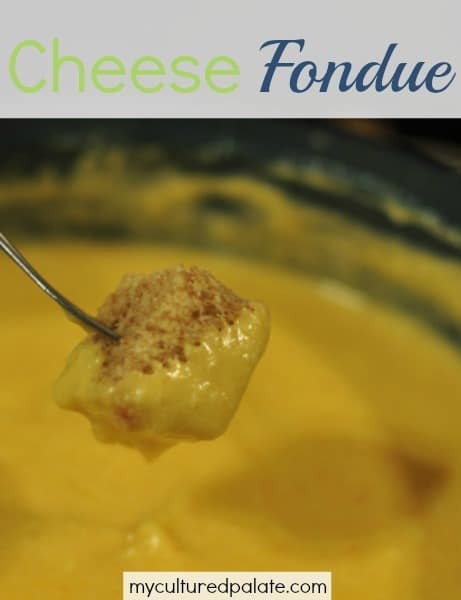 A delicious and comforting recipe for how to make cheese fondue. Serve with fresh crusty bread, veggies or grilled meats. Cheese fondue became a family favorite meal while living in Switzerland! I was pregnant twice during our 4-year transfer there and during one of my pregnancies, we had fondue at least once a week but more often, two times a week! It was such a lovely way to get to know others and have an up-close relationship with our new home. Cheese Fondue is basically melted cheese served in a communal pot over a heat source to keep it hot and bubbly. 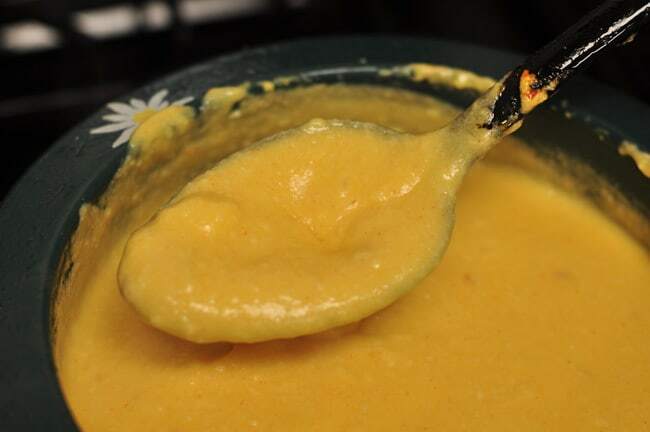 Normally, people use long forks to dip chunks of bread into the melted cheese mixture. While the term “fondue” has become extended to include chocolate fondue or fondue bourguignonne (in which pieces of meat are dipped and cooked in hot oil), when we say fondue is for dinner, it means cheese fondue! You would think, with all the low fat/no fat propaganda, that I would have gained a pound after pound eating all that fat. Not the case at all – in fact, I only gained 21 lbs during that pregnancy! Says something about our body’s need for fat doesn’t it? Traditionally, it was the man’s job to make cheese fondue. Our theory on the reasoning behind this is that since so much alcohol evaporates during the cooking process, the men were there to inhale the vapors! I think it’s a great idea to learn how to make fondue whoever you are, however. This recipe is adaptable to your own tastes and preferences. 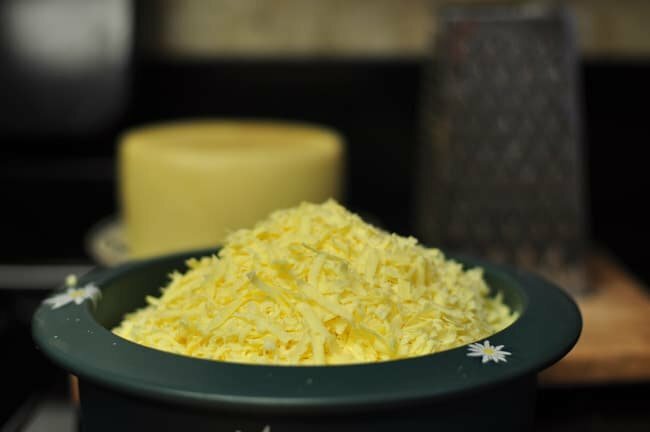 I have made the following recipe with Appenzeller and Gruyere cheeses, as well as other combinations, including one sharp and one milder cheese. Now, I primarily use our homemade cheese which is normally a combination of Swiss, Muenster and/or cheddar cheese. Tip: I double the recipe and serve it with pickles, pickled okra, pickled onions and/or olives. Mix the grated cheese and white wine in the fondue pot and heat over medium heat stirring constantly with a figure 8 motion. Heat slowly! This should take at least 10 – 15 min. It will appear lumpy as the cheese melt. Add the corn starch dissolved in cherry liquor and the lemon juice. 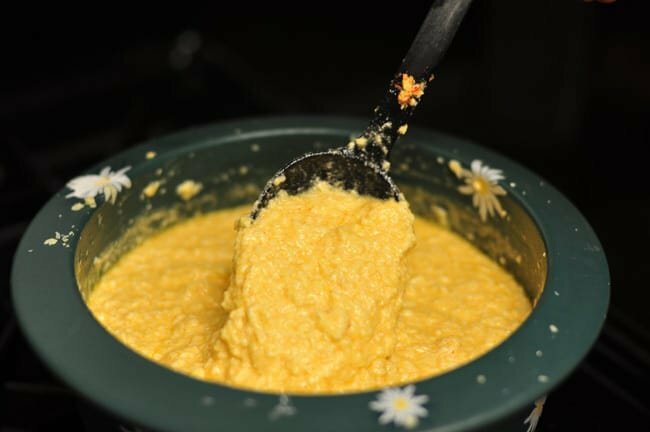 The corn starch acts as a binder to hold the cheese mixture together. When the cheese begins to get smooth rather than lumpy, add paprika, pepper and garlic powder to taste. Move the fondue pot to the table over a small burner to keep it warm. Using fondue forks, dip bite size bread pieces into the hot cheese. Fondue may be served with pickles, pickled okra and pickled onions as side dishes. 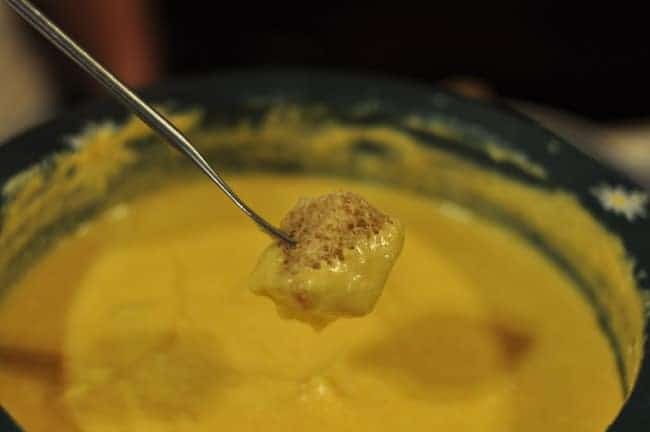 If you’ve tried this cheese fondue or any other recipe on Cultured Palate please take a minute to rate the recipe and leave a comment letting me know how you liked it. I love hearing from you! You can also FOLLOW ME on PINTEREST, FACEBOOK, INSTAGRAM, YouTube and TWITTER. A traditional meal for sharing, or to make a fun date night in. Heat slowly! This should take at least 10 - 15 min. It will appear lumpy as the cheese melt. Add the corn starch dissolved in cherry liquor and the lemon juice.The corn starch acts as a binder to hold the cheese mixture together. Move the fondue pot to the table over a small burner to keep it warm. Using fondue forks, dip bite size bread pieces into the hot cheese. Fondue may be served with pickles, pickled okra and pickled onions as side dishes. I love fondue! Sounds really good on this cold, yucky day! 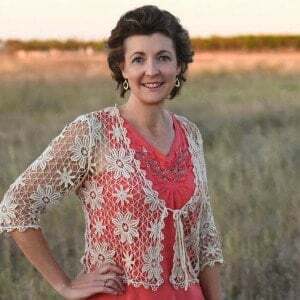 Thanks for sharing at Meal Plan Monday! Hope to see you there tomorrow! Mmm this is ultimate comfort food, love it!